Anthony Overton Van Johnson earned his Juris Doctor (J.D.) Degree from Loyola University School of Law in 1994, where he was selected to "Moot Court". While a third year law student, Anthony was lead attorney on murder and armed robbery (major felony) jury trials in the criminal court in New Orleans. He earned his Bachelor of Arts (BA) Degree in English at Virginia Commonwealth University (VCU) with a 3.9 GPA in his major. He earned his Associates in Science (A.S.) Degree in Business Administration at Thomas Nelson Community College. Since law school, Anthony has represented thousands of clients on legal matters including personal injury, auto accidents, DUI, divorce, custody, child support, immigration, and civil litigation. 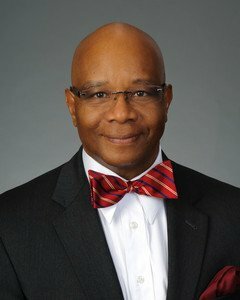 His representation has included representing clients in over forty (40) courts throughout the Atlanta metropolitan area, as well as, the State of Georgia (State and Federal). Anthony's diverse background includes military service in the United States Army where he served as an Infantry Squad Leader with the 4th Infantry Division (4th ID), earning the coveted Expert Infantryman's Badge (EIB), in addition to graduating from Combat Leader's School. He was also a member of the United States Army Mounted Color Guard & Drill Team. Additionally, Anthony performed as a professional musician in Europe and the United States. Prior to attending law school, Anthony was a Senior Health Physics Technician in the nuclear industry where he surveyed and documented radiation, contamination and airborne radioactivity, prevented personnel overexposure to radiation, and performed personnel decontamination at various nuclear power plants around the United States. Anthony's hobbies include: piloting planes, scuba diving, professional music performance, martial arts competition/instruction, writing, and worldwide travel. Memberships include: Georgia Bar Association, American Association for Justice (AAJ), Georgia Trial Lawyers Association, Aircraft Owners & Pilots Association (AOPA), American Bar Association (ABA), Christian Legal Society (CLS).